Opry City Stage has put together the perfect combination of big city style with down home country soul. 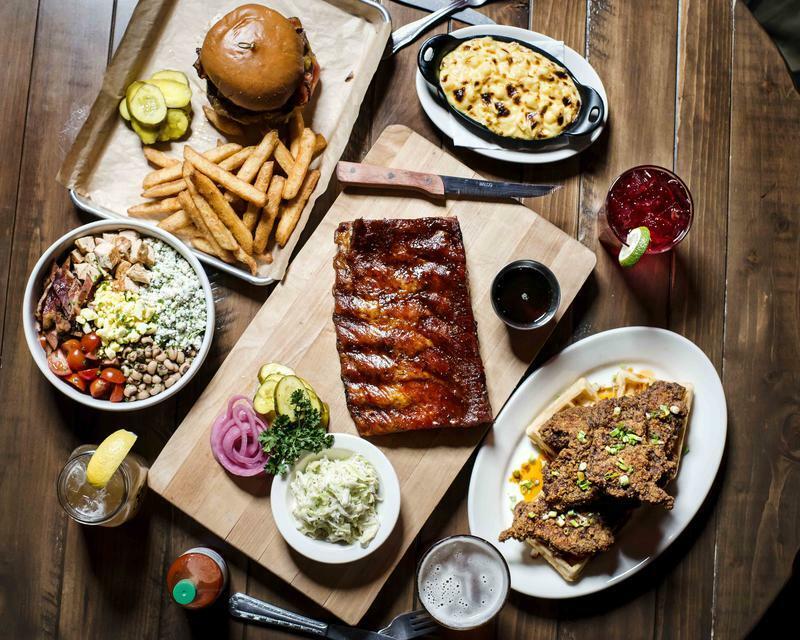 They’ve compiled a restaurant menu with a southern twist to complement the music and complete the experience. There are four floors of great happenings here, so it will take more than one visit to really soak the place in. Opry City Stage was, of course, inspired by the original Grand Ole Opry in Nashville and takes pride in presenting the best country music on every floor! 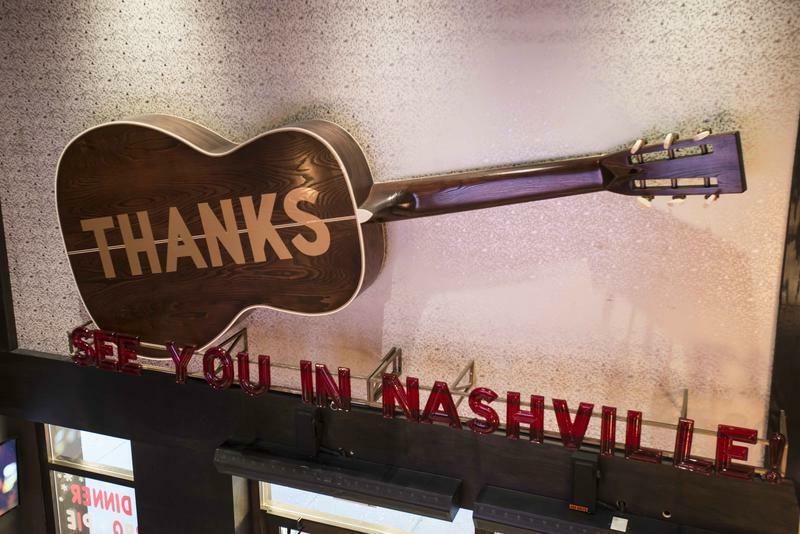 You’re greeted by live country music on the main floor, as you enter from the bustling crowd outside in Times Square, just as would on a stroll down Broadway in downtown Nashville at any time of day. Here you can stop for a moment, catch your breath, grab a drink and begin to settle in for a great afternoon or evening of food and entertainment. There’s music on every floor and something for everyone so check the schedule to be sure and catch the show you want. The Second Floor Stage provides a more intimate setting and a wide variety of shows at various times of the day. The Third Floor mezzanine overlooks the Second Floor Stage and offers additional room and a different perspective for performances on that stage. 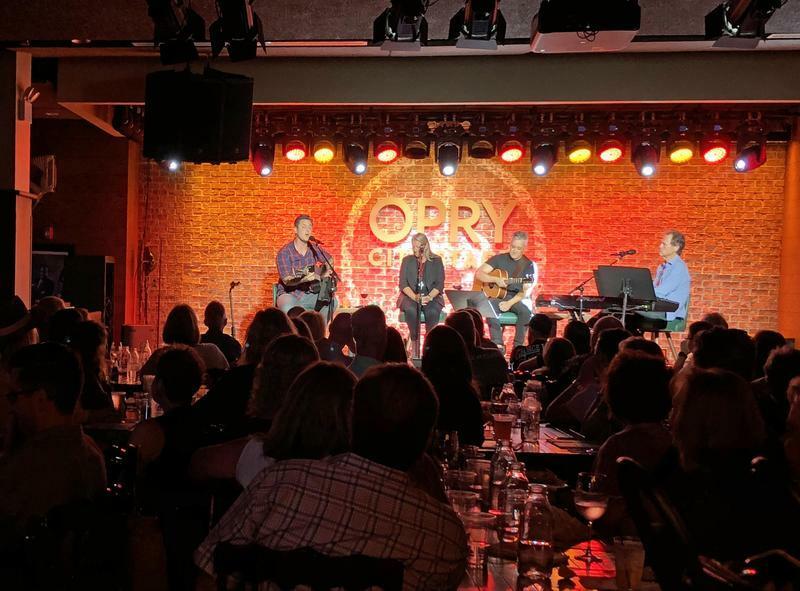 The popular Songwriters’ Series is hosted here at The Studio at Opry City Stage, located on the Fourth Floor. It is a very intimate room and features hit makers, songwriters and new emerging artists. 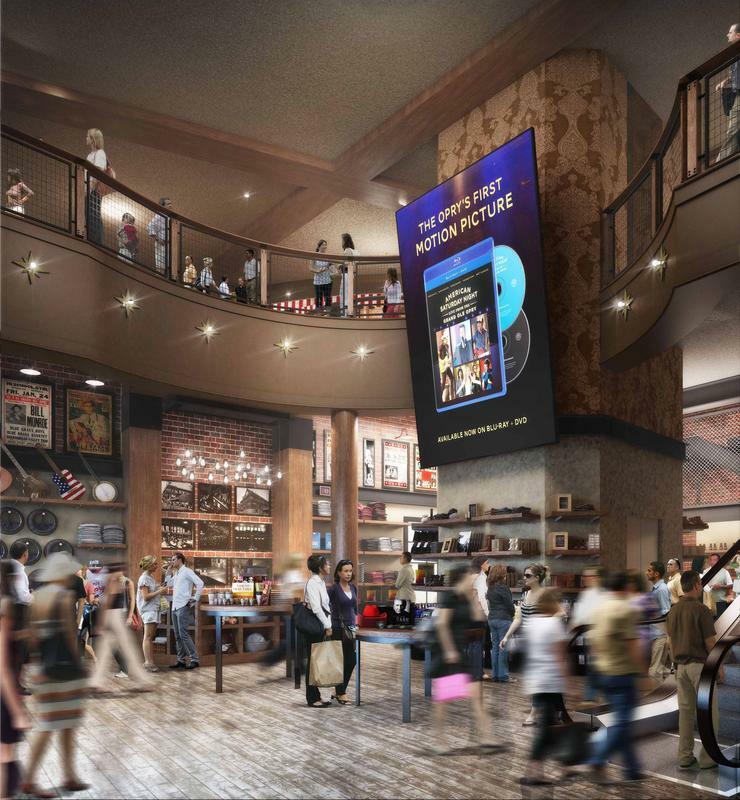 It is also an updated NYC adaptation of Nashville’s notorious Bluebird Café. 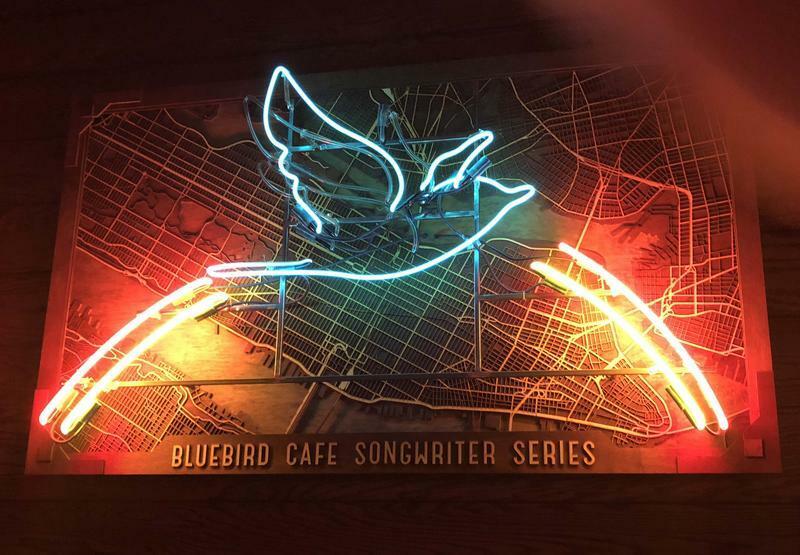 I attended a Songwriter's Showcase at the Bluebird Café that featured well-known and very accomplished songwriters Tom Douglas, Liz Rose and David Hodges. I have to admit I knew nothing about any of these songwriters prior to the show, but I became a huge fan of each artist and their songs by the end of the performance. The show was both intimate and enlightening! 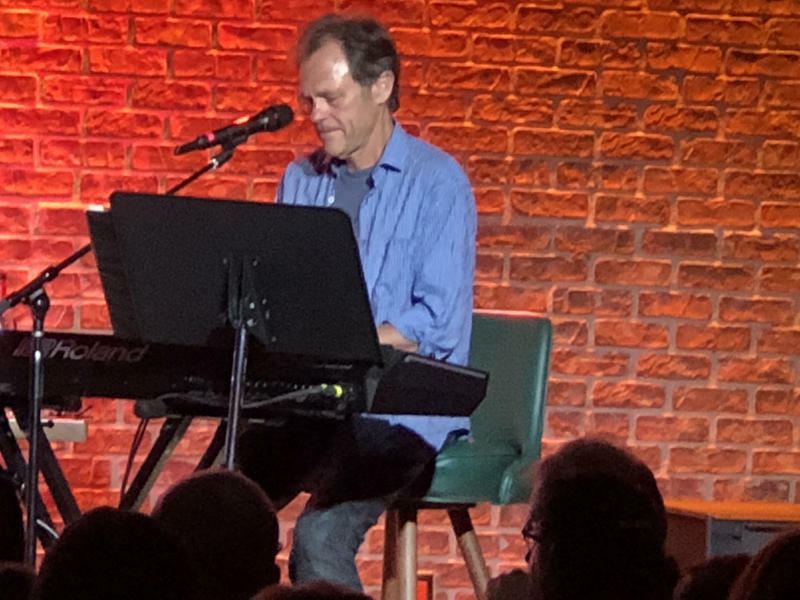 Tom Douglas has worked with many big country stars that include Garth Brooks, Collin Raye, Tim McGraw, Martina McBride, Lady Antebellum and Miranda Lambert. Liz Rose is best known for her work with Taylor Swift and the song "Girl Crush" by Little Big Town. However, she’s also written songs for Blake Shelton and Bonnie Raitt, amongst many others. David Hodges was a founding member of Evanescence, wrote the final song of Twilight, “A Thousand Years,” and worked with several other artists including Carrie Underwood and Kelly Clarkson. All three of these songwriters were truly tremendous and it was quickly obvious why their songs have become so popular. The opportunity to hear these big hits in the raw, sung with their original stripped down emotion and intent, is not to be missed. These writers have mastered the ability to communicate simple everyday happenings in a short but genuine heartfelt tune. Songs that left a lasting impression on me were Liz Rose’s “Grocery Money;” David Hodges’ “A Thousand Years;” and Tom Douglas’ “Take A Drunk Girl Home,” and “The House That Built Me,” which was a hit for Miranda Lambert. Another great writer, Mark Scibilia, happened to be in the crowd for the show and was invited up by the group to sing his song “Summer Clothes,” which was a crowd favorite. Bonus! The intimacy of the room combined with the warm personalities of the songwriters and the great songs themselves all came together for a truly memorable evening that won’t be soon forgotten. Considering today’s slickly produced music on the airwaves, it was refreshing to have the experience of hearing these songs in their bare and unplugged form. With all the incredible music, you might think the food at Opry City Stage would be an afterthought, but I must assure you it isn’t! 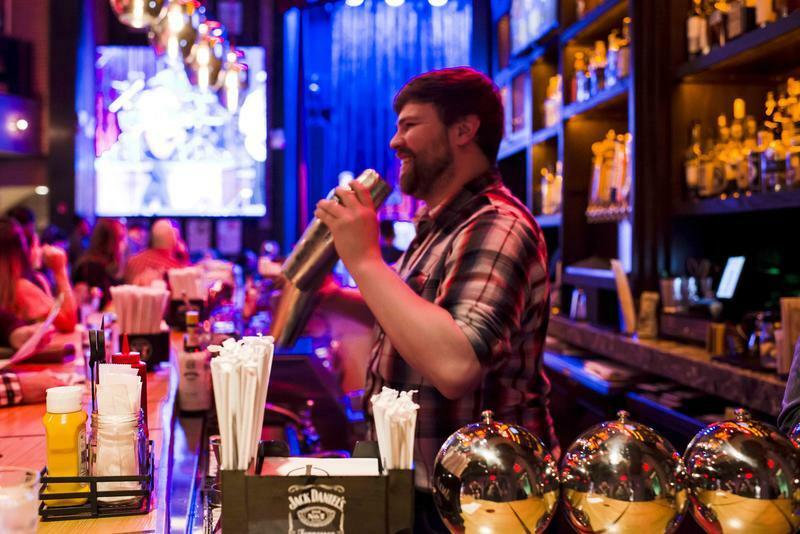 The theme of the menu at Opry City Stage is Authentic Southern Cuisine and it absolutely delivers. Eggs, waffles, Nashville Hot Chicken, burgers, salads, soups and barbecue in many varieties will make it hard for you to pick a favorite! The wine list also offers a very fine list of options in all categories. The burgers were great, fries were fresh and portions healthy. There are even options for the vegetarians in your group! The staff is friendly, attentive and great at making you feel at home. Opry City Stage is a destination for all to see and hear! Rest assured, you won’t be able to visit only once. With four floors of activity, an incredible authentic and well-conceived menu you can stay busy here for a while! 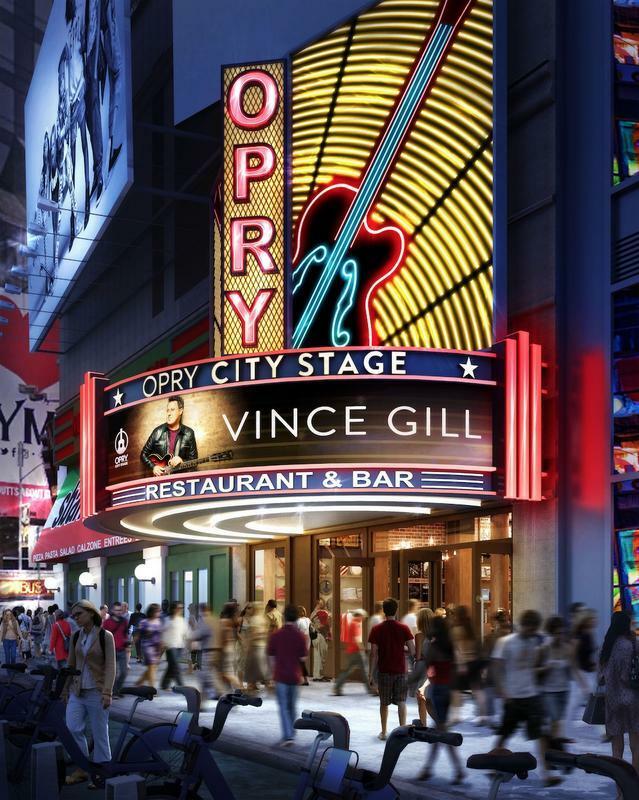 Click Here to View All Upcoming Opry City Stage Events in NYC! Tom Douglas in The Bluebird Cafe Songwriter Series at Opry City Stage NYC. David Hodges in The Bluebird Cafe Songwriter Series at Opry City Stage NYC.